Stop wasting time traveling to and from crowded courthouses and searching through antiquated records. 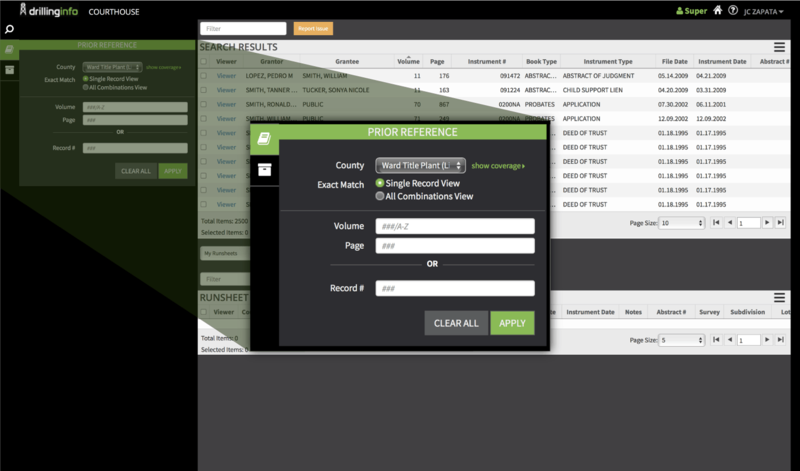 Run accurate searches in minutes straight from your desktop. Constructing a chain of title is a very time-consuming task requiring multiple searches through grantor/grantee indices. Do it in hours, not weeks, by getting the documents you need faster. With prior reference, any source document entered in the search field will deliver back every document that referenced the source. This means less digging, and more analysis. It can be hard keeping track of a project’s progress as well as understanding when work is declining—leading to wasted resources. 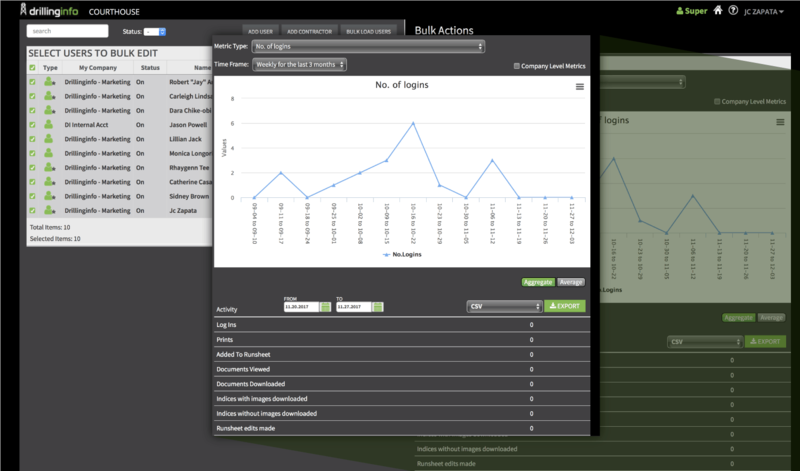 With user analytics, you will run detailed reports down to the seconds each user spends in DI Courthouse. Understanding activity and usage will create less guesswork when making resource allocation decisions. Managing the relationship between in-house and independent landmen can be complex and burdensome. 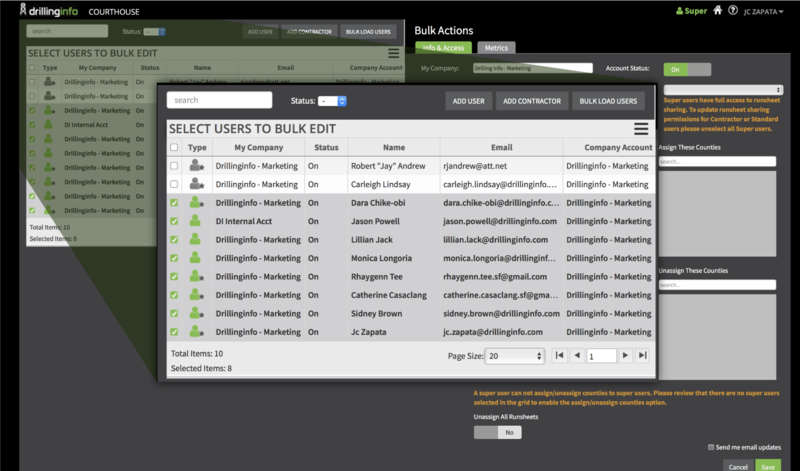 With “Super User” controls, independent contractors can quickly and easily be assigned access to Drillinginfo data. 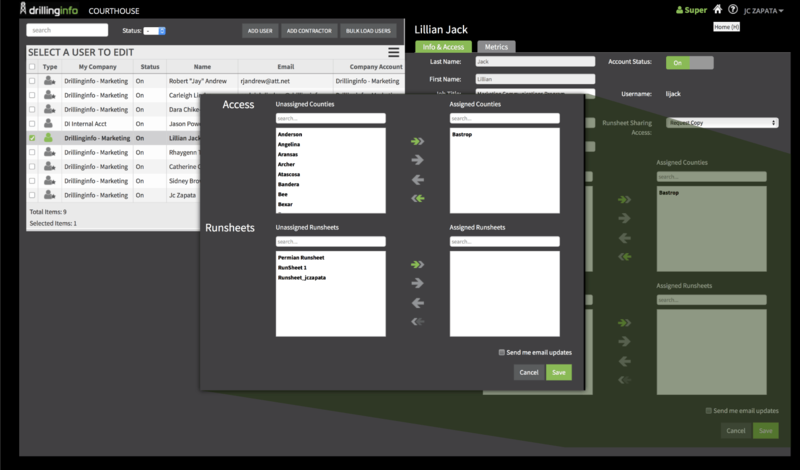 Easy-to-use and granular management of access means less time managing relationships, and more time managing your business. Title work is constantly being replicated — and many times lost — when transitioning work from one person to the next. The ability to see everyone’s work on one platform means tighter alignment across the organization. Base title can be passed along to others for easy collaboration, or view results to analyze quality and progress. Locating a specific tract of land is a tedious and time-consuming task, especially when there is a gap in title. Searching by range of acreage helps filter out information you do not need which helps you focus on the tract of interest. *DI Basic or higher and DI Courthouse Abstract Plant subscription required.